Updated 12-31-15. 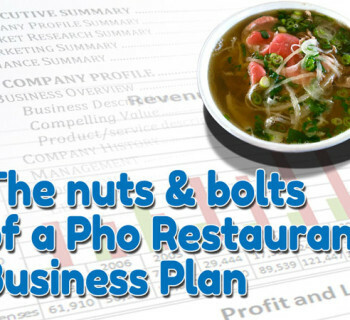 You may be wondering about the name Pho Bolsa. Or maybe Pho 79. Or Pho 86, Pho 54, Pho 75, Pho 88, Pho 90. Your head may be spinning with numbers soon enough. 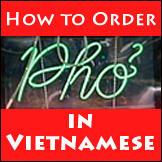 Well here's an attempt to put some of these mysterious Vietnamese pho names and numbers to rest. 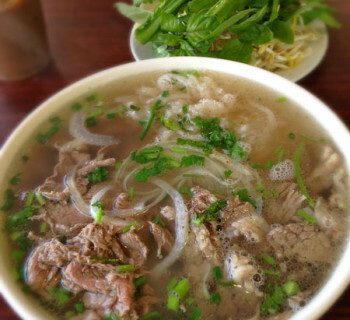 Driving through any part of town where Vietnamese businesses are thriving and you'll see pho restaurants and pho shops playing a prominent role in the area. Little Saigon in Orange County is certainly one of the best examples of high concentration of pho places to eat. While there are plenty of pho restaurants with 'normal' Vietnamese names, the names mentioned above certainly give old and new clientele (and Viet and non-Viet) a little pause of curious ponder. "Bolsa" is the Spanish word for "bag." So what's Spanish (or Mexican, after all, this is California) has got to do with Viet foods? Well, before "Little Saigon" (circa early 1980's) this whole area was ethnically Mexican. Especially along Bolsa Avenue at the west end and First Street at the east end (on the same east-west street), there were mainly Mexican and other Spanish-speaking shops, restaurants and markets. In the early 80's, these businesses were not doing so well, while the flood of Vietnamese immigrants were itching to open their own businesses in the area and they saw an opportunity. The rent was cheap, business can be opened easily in the U.S., and most important of all, there were customers ready to buy. 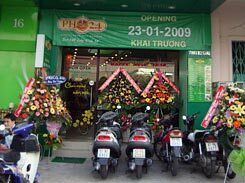 At first, a few Vietnamese markets, restaurants and services started to open among the Spanish-speaking businesses. Over a short period of time, the buying powers of the Viet customers translated to more opportunities for Viet businessmen and women. What resulted was a viral spread of Vietnamese businesses in the area with the net effect of pushing the Mexican businesses east. Today you see this whole stretch of commercial area divided distinctly with Vietnamese businesses at the Bolsa end (west end) and Mexican businesses at the First Street end (east end). Later, with the help of the booming real estate market together with a flood of educated Vietnamese joining the workforce, the stage was set for an explosive growth in both sellers and buyers. 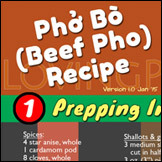 "Bolsa" became a recognizable and easy name for Vietnamese to remember and identify with. And regardless of what the word really means in Spanish (in fact I doubt if many Vietnamese even know that it's Spanish or what the word Bolsa really means,) Bolsa also became synonymous with all things Vietnamese in the U.S., certainly in California, and will probably remain so for many more years to come. 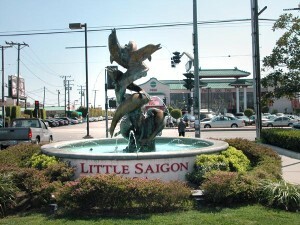 The name "Little Saigon" was born shortly after and the area became the biggest concentration of Vietnamese living outside of Vietnam. For Vietnamese living outside of this area (as far as the East Coast and even Canada), "Bolsa" is the place to visit for a big taste and memory of the motherland. Businesses with "Bolsa" in their names appear as far as San Diego, Sacramento and even Boston. 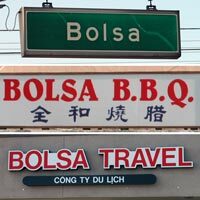 Most all Vietnamese understand the meaning of "Let's go to Bolsa this weekend." And it's no surprise to see businesses include "Bolsa" in their names: Radio Bolsa, 1st Bolsa Finance, Bolsa B.B.Q., Bolsa Beauty Supply, Bolsa Florist, Bolsa Travel and of course Pho Bolsa, which isn't even on Bolsa. And what about all those numbers again? Well here's my theory - an educated one, that is. 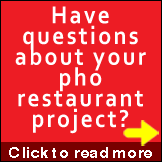 They may be the years that carry some significance to the owners/restaurateurs and their families or even an important date in Vietnamese history. Many of these numbers are often used as a remembrance of a new start in a new country, of the year when they left Vietnam, maybe the year when they arrived, or the year of some other important personal event. The year 1954 was when the country Vietnam was split into North Communist Vietnam and South Vietnam or the Republic of Vietnam. This was also when many north Vietnamese migrated with their pho to the south. The year 1975 was when South Vietnam was lost to communism. This was the start of Vietnamese leaving the country in large numbers. Over more than 15 years after 1975, about 2 million Vietnamese refugees and "boat people" escaped the country looking for freedom elsewhere. Hence Pho 79, Pho 86, Pho 90, etc. may as well represent significant years for the restaurateurs. How about Pho 777, Pho 888 and others? I think those are just easy numbers to remember, or lucky numbers for the owners. While it may be true that a definition of a gambler is a restaurateur, for many hard working pho restaurant entrepreneurs, it's probably less likely that these are lucky slot or gambling numbers. But from a marketing standpoint, numbers are very easy to remember for both Viet-speaking and non-Viet-speaking clientele. They just look and sound funny, but they work well and they stick in your mind, with more questions than answers. So it can't be bad. Forty years after 1975, it's seldom that you'll find this naming convention in newly opened pho restaurants anymore. In this second decade of the 21st century, new pho restaurants are going more mainstream to cater not only to new Viet generations growing up in America but also to new markets outside of the "Little Saigon" communities. The key operative word now is "going mainstream" or being "trendy", so pho restaurants with numbers in their names are becoming a thing of the past. If anything, today many new pho restaurant names are becoming too "punny" for me, but that's another topic of discussion. What's your view on this? Do you have a different theory? Share it with us. 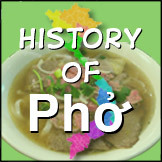 Go here for a look at The History and Evolution of Pho: A Hundred Years’ Journey. 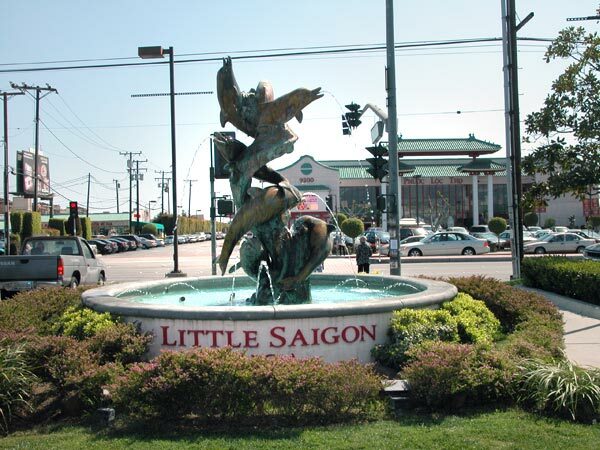 For an excellent recount of the Vietnamese experience and history of Little Saigon, see “Little Saigon, Orange County – California” by Wandering Chopsticks. Hi! Just read your article now (specifically about the restaurant numbers). I think your guess may be right. Seems to be a trend amongst Viet Americans. David Tran, after all, named Huy Fong Foods after the freighter that carried him out of Vietnam! @Lucy: Thanks for your comment and note about Huy Fong. It’s such a perfect example of how Viet people name our businesses. Many people, including the younger Viet generations, don’t realize (or remember) how important and risky it was for Vietnamese to leave the country en masse for freedom and better life. Naming a new business to commemorate such life-changing event is the right thing to do and is totally cool, to me anyway.